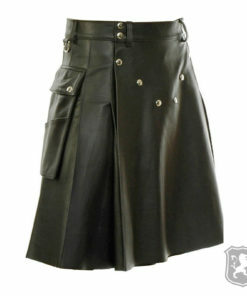 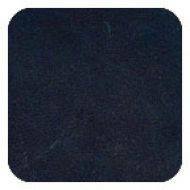 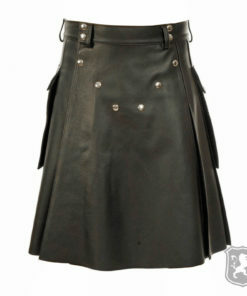 The Black Gladiator Viking Leather Kilt is a kilt that is made out of two materials namely leather and cotton. 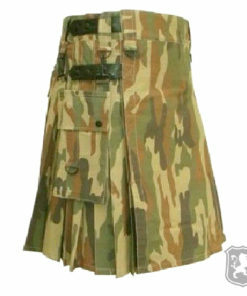 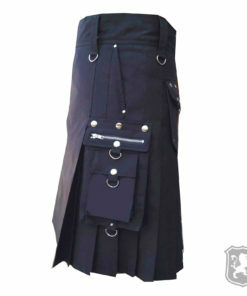 It is a very unique and amazingly designed kilt available on Kiltzone. 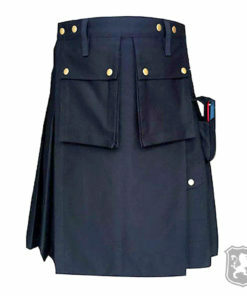 It has a front apron made out of leather and has one flap pocket on the front of the kilt. 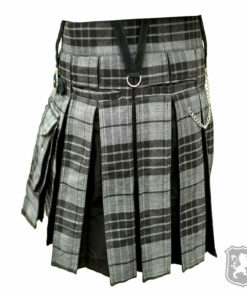 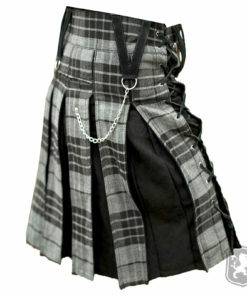 It also has an angled decorative belt attached to the side of the kilt which looks really stunning. 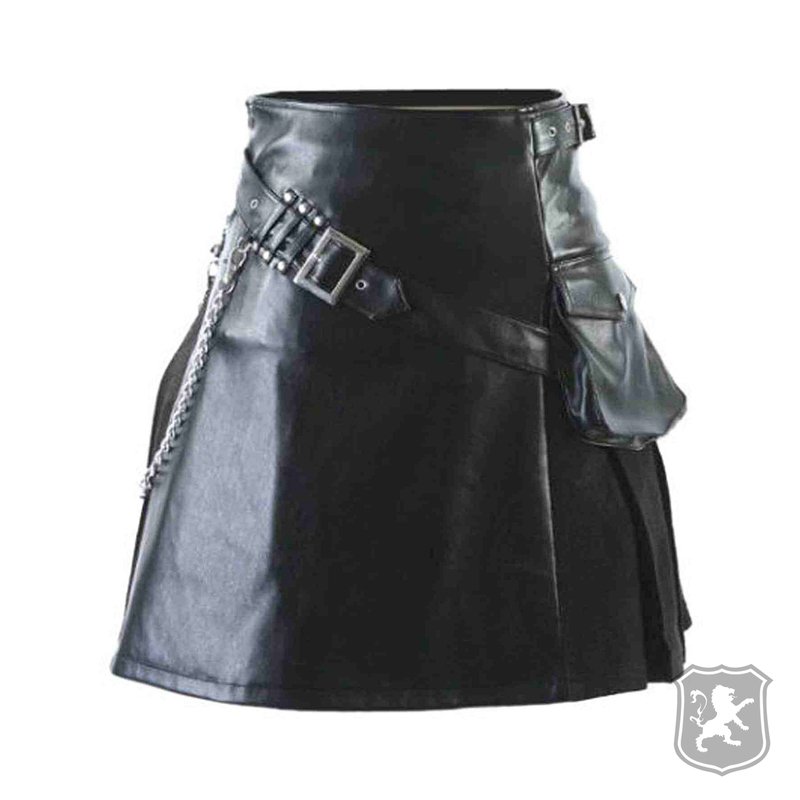 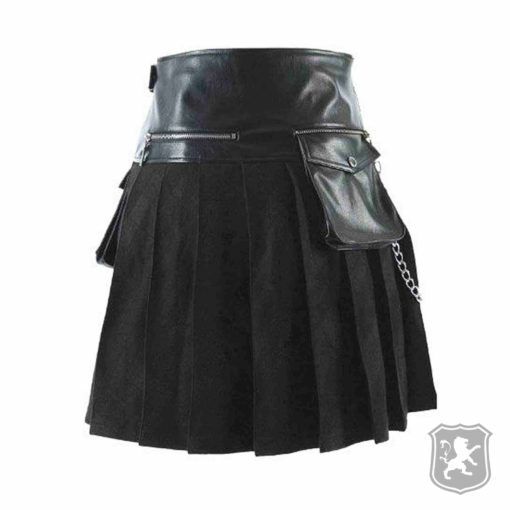 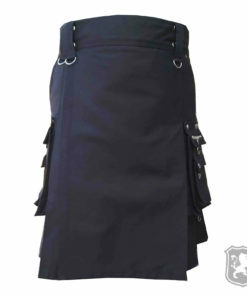 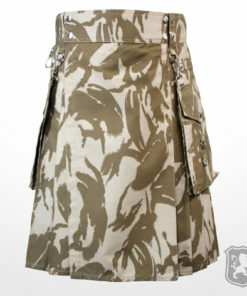 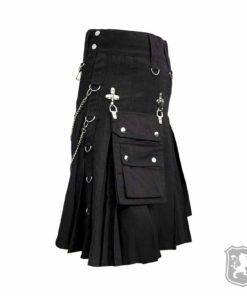 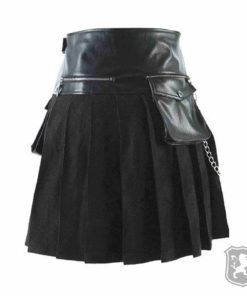 On the front of the kilt, you will see that it has black leather apron with an angled belt. 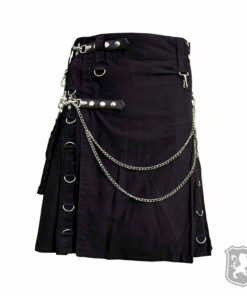 It also has a decorative chrome chain attached from the belt to the back pocket. 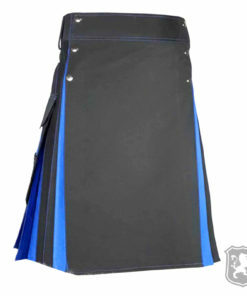 All of these decorations are used to represent the Gladiator style. 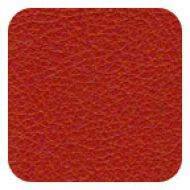 On the side of the kilt, you will see that it has a single flap pocket made out of leather material. 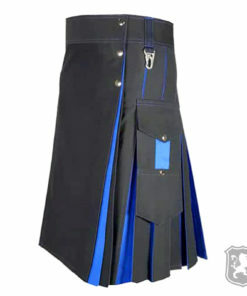 It also has an extra pocket on the back side of the kilt. 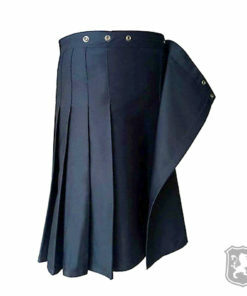 The pleats are made out of cotton fabric which looks really amazing and great. 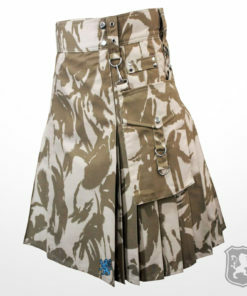 The kilt looks amazing and the fit is actually quite good. 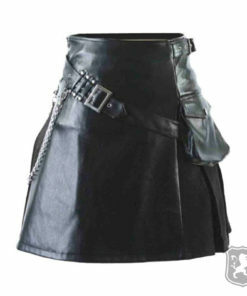 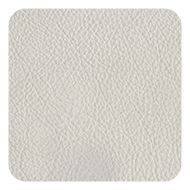 This is a great design!